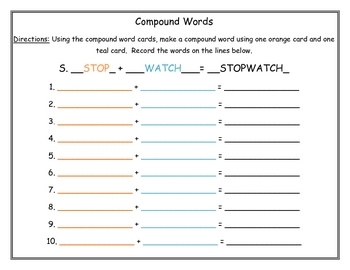 This worksheet corresponds with the Compound Word cards found in my store. It can be reproduced and placed in the literacy box along with the cards. Students will fill out the worksheet while at the literacy box.